After five months of cloak and dagger and dueling leaks, Microsoft(s msft) has named Satya Nadella, its cloud chief, as its third-ever CEO, replacing long-time veteran Steve Ballmer. Company cofounder Bill Gates will remain on the board — and act as counsel to Nadella, as rumored — but will cede his chairman slot to director John Thompson, who led this slow-motion search process. 1975 – Microsoft is founded. 1990 – Nadella graduates with a master’s degree in computer science from University of Wisconsin-Milwaukee. He completed his bachelor’s degree in electrical engineering from Mangalore University in India. 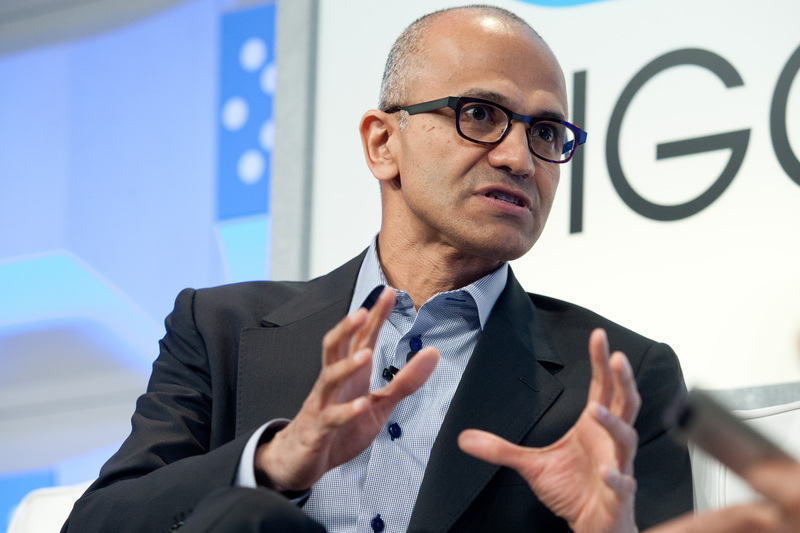 1996 – Nadella receives his master’s in business administration from the University of Chicago. He flew to Chicago every Friday to attend weekend classes before returning to Washington for the work week. The official announcement is here and more information, including Nadella’s email to employees, is here. In fact, Gates’ role in the CEO selection and his actions going forward are probably the most interesting part of this whole saga. With or without Gates at his side, Nadella faces big challenges. Microsoft was late to cloud and is now trying to build Windows Azure into a major player in public cloud — a market that Amazon Web Services dominates, with competition also coming from Google(s goog), HP(s hpq), IBM(s ibm) and others. 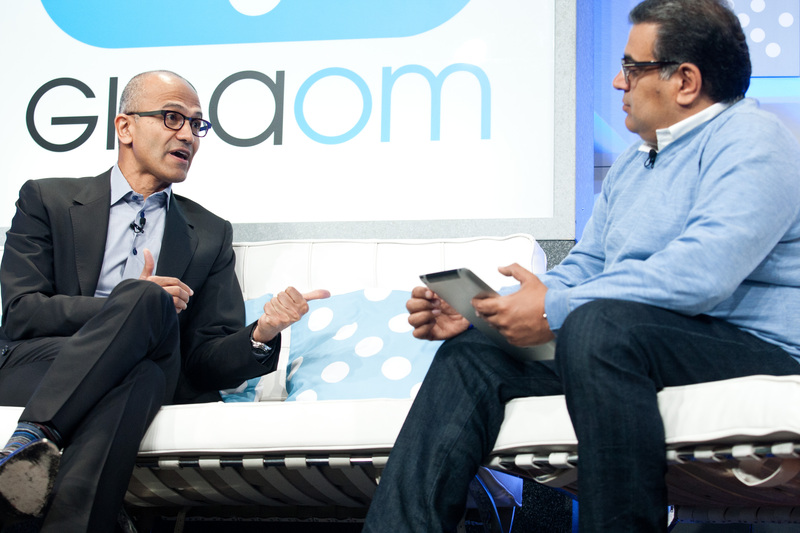 As president of Microsoft’s Windows & Tools group, Nadella helped lead Azure’s construction over the past few years. As has been reported ad nauseam, Microsoft is also challenged in mobile, where an improved Windows Phone still lags behind iPhone(s aapl) and Android. And the company is trying to navigate a tricky transition from its client-server cash cows — Office and Windows — to a cloudier SaaS model where it’s pushing more subscription services a la Salesforce.com et al. One big question is how closely Nadella will adhere to the “One Microsoft” reorganization Ballmer announced in July. The goal of that move was to break down silos at the famously segmented company where product groups were sometimes at war with each other. Another is how many other Microsoft execs — some of whom may have hoped to get the top job — will leave the company now that a CEO is in place. So Nadella has a lot on his plate, but he’ll have his buddy Bill at his side. And CFO Amy Hood is also seen as a key asset on the operations side. 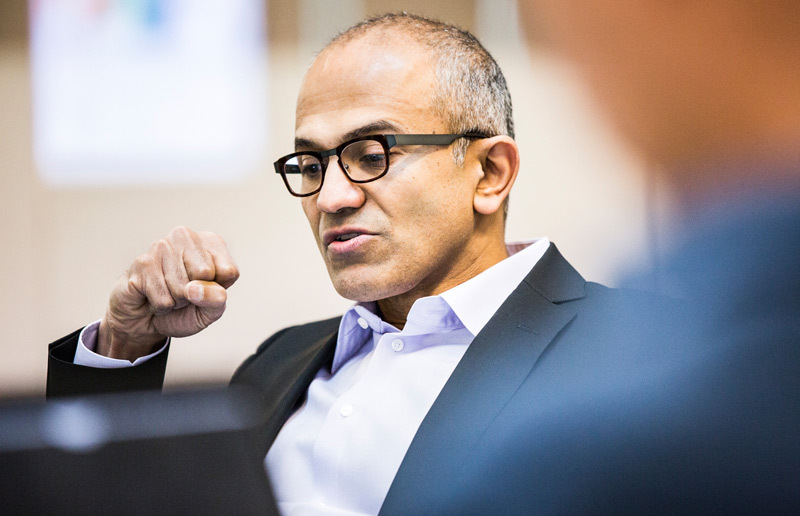 To hear more about Nadella’s vision, check out the video of his talk at Structure last June or read Om’s interview with him. What do you expect from him in regards to media and the Xbox division?